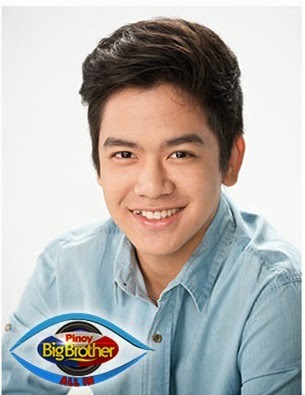 Manila, Philippines - Joshua Garcia dubbed as the "Tatay's Boy ng Batangas" has just been evicted from the Pinoy Big Brother house during the live 12th eviction night of 'PBB All In' on Sunday, August 17, 2014. Joshua, 16, got the lowest net percentage of votes from home viewers, negative 34.57% only. The 'Rising Celebriteen ng Quezon City' Jane Oineza and 'Hunk of the World ng Makati' Daniel Matsunaga were saved from eviction as they received 24.75 and 9.82% of net votes respectively. The three nominees had faced the verdict of the public through the ‘vote to save’ (BBS) or ‘vote to evict' (BBE). As the show started on Sunday, partial percentage of votes as of 8:30pm was revealed for the three nominated housemates identified as Housemate A, B and C. For BBS, they got 59.23%, 26.65% and 14.13% respectively. Meanwhile, BBE shows 33.52%, 18.17% and 48.31% of votes. Partial result was Housemate A got 25.71%, B got 8.48% and C received a net of negative 34.18% of votes. The final results of voting revealed that Jane got 58.61% on BBS and 33.86% on BBE, Daniel got 27.41% on BBS and 17.59% on BBE while evicted housemate Joshua received 13.98% BBS and 48.55% BBE. The nominated housemates Daniel, Jane and Joshua received nomination through 'Do You Know' game which was hosted by actress-host Judy Ann Santos-Agoncillo. In the game, housemates were asked questions. Vickie and Maris won the first and second rounds, respectively, and were thus saved from the nomination. In round three, Maris and Vickie went head to head and answered questions about each other. Maris won this round, which gave her the power to save another housemate. Maris chose Loisa as payback when Loisa bravely touched snakes, hamsters, worms, and bullfrogs to save Maris in the “Ligtas” challenge. In the same week, box office director Cathy Garcia-Molina visited the PBB house to help housemates on their weekly task called "Lights Camera Action!". The housemates are tasked to shoot a Short Film entitled "Endless" to be judged by Tirso Cruz III, Gerald Anderson, and Angelica Panganiban. To pass their weekly task, They should be able to get 12 happy faces among the judges. Big Brother on Sunday announced that housemates are successful on their task and they will get the full weekly budget. As the list of housemates was trimmed down to 5 tonight, who should get the boot this week and who will join the Big Night as one of the Big Four housemates on Sunday next week, August 24 at the Resorts World Manila? The live eviction of PBB dominated online conversations with '#PBB12thEvictionNight' and 'LoiShua GenuineFriendship', 'Goodbye Joshua' and 'Housemate C' topped Twitter trending list. Tune in to “Pinoy Big Brother All In” with Toni Gonzaga weeknights after “Aquino & Abunda Tonight” on Primetime Bida. Discuss the latest events inside the PBB house with Slater Young and Joj and Jai Agpangan in “Ubertime Online."